Newly released research by the Institute for Health Metrics and Evaluation (IHME) at the University of Washington shows that women are dying earlier than they were a generation ago. The research also shows that the United States is falling behind many more healthier nations -- Japan and Canada, for instance, are enjoying significant gains in life expectancy every year. The maps that accompany the research, however, may not be so surprising. The IHME's research suggests that the main culprits are obesity, tobacco use, and other preventable risk factors, with people in Appalachia, the Deep South, and Northern Texas living the shortest lives. Nationwide, women fare more poorly than men. 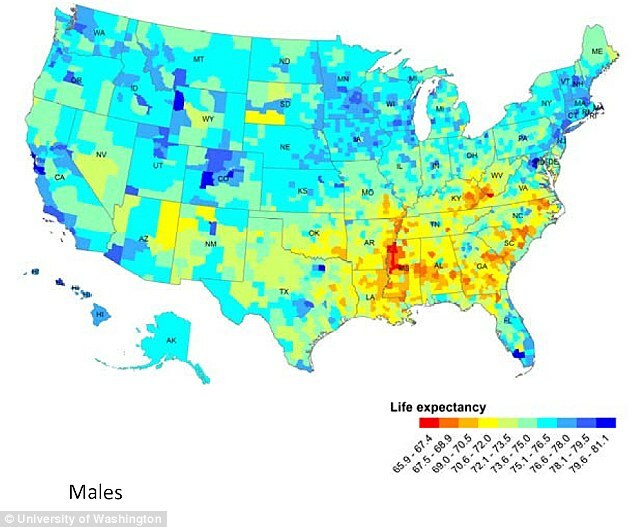 The researchers found that women in 1,373 counties – about 40% of US counties – fell more than five years behind the nations with the best life expectancies. Men in about half as many counties – 661 total – fell that far. 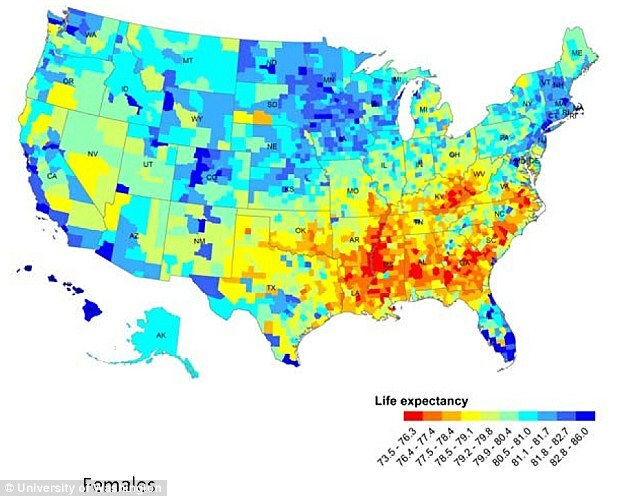 Black men and women have lower life expectancies than white men and women in all counties. Life expectancy for black women ranges from 69.6 to 82.6 years, and for black men, from 59.4 to 77.2 years. In both cases, no counties are ahead of the international frontier, and some are more than 50 years behind. The researchers were not able to analyze other race categories because of low population levels in many counties. Below are snapshots illustrating the findings. These maps may look strikingly familiar. It is difficult to pinpoint exactly where America's health, education, class, sense of well-being, political ideologies, and religious beliefs begin and end, or exactly how they influence one another. 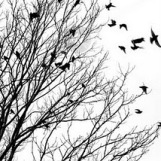 But we can't underestimate the degree to which these things affect one another, or how intricately, and uniquely, they are woven into the realities of American life. I can tell you that I'm getting pretty tired of seeing that same map over and over again.